Smartphone photography has undergone some incredible transformations over the past decade. With high-resolution front-facing phone cameras and selfie sticks, the days of needing to mount a DSLR onto a tripod with the timer on is well and truly over. The selfie game continues to evolve as aerial imaging has become increasingly accessible. In fact, the most recent selfie craze is the use of a ‘selfie drone’ – selfies from a totally new perspective! 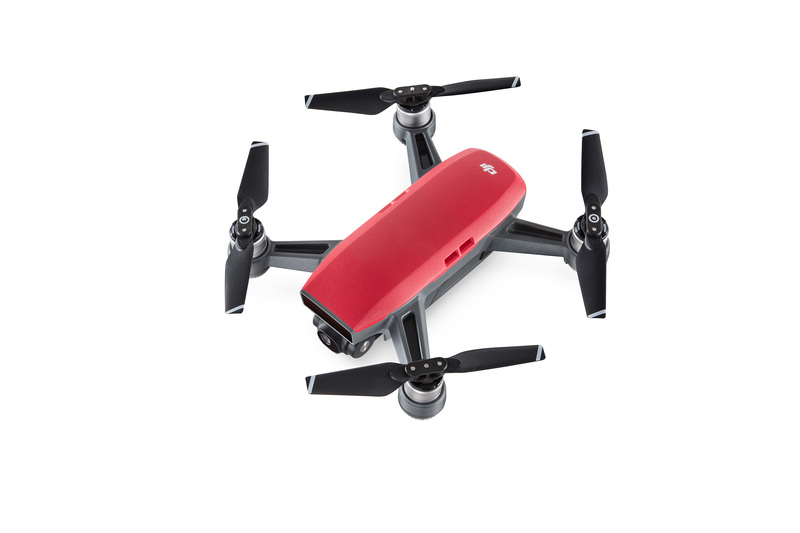 Most selfie drones are compact, foldable, and portable. They have integrated cameras that are on par or better than many smartphone cameras out on the market today. What’s more, they have control options that make taking pictures and videos as hassle free as possible. 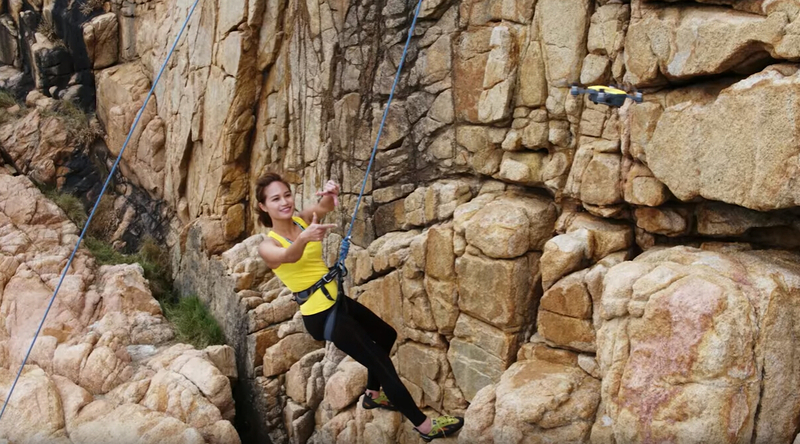 Who needs selfie sticks when you’ve got drones? Though the selfie stick is a great accessory that can be used anywhere and anytime, it only provides a very limited field of view. The vantage point is fixed at an arm’s length from the user, and it’s tough to get too creative with it. 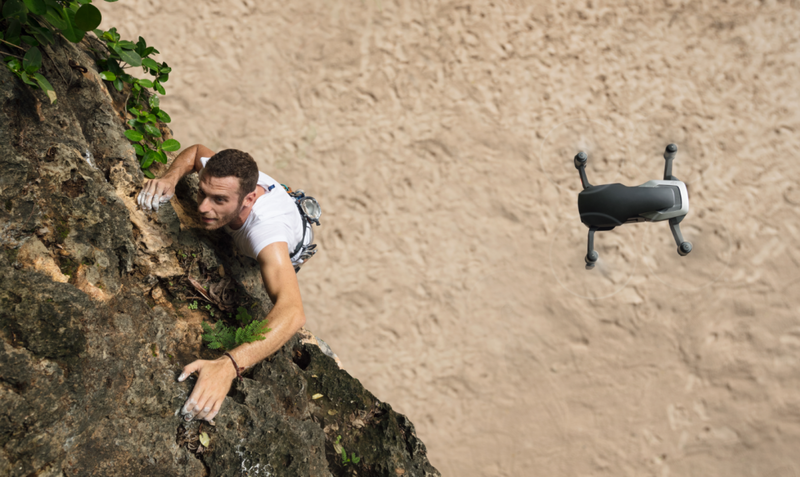 The selfie drone, however, is new technology that lets you capture shots from unique aerial perspectives. Envision a family portrait on the beach. Both the shore line and some cliffs are visible in the background. Imagine a travel Instagram selfie with all the contours of the landscape around you visible. Millions of travelers take selfies at popular tourist destinations, but far fewer capture their selfies from the air. 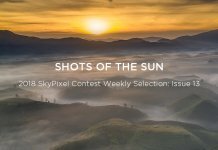 With a drone though, photos can become eye-opening works of art! It’s pretty hard to take a basic selfie with a selfie drone. 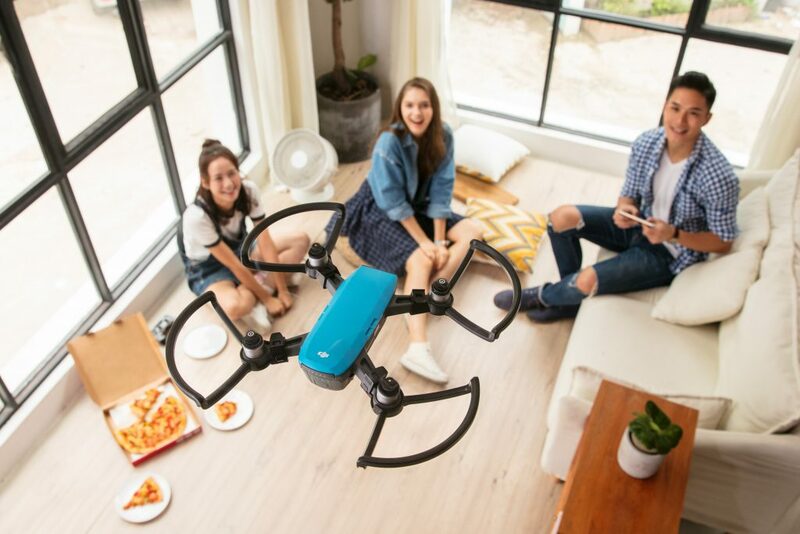 If you’re serious about elevating your selfie game, then the selfie drone is definitely the tool for you. So, what are the features you should look for when purchasing a selfie drone? Ideally, you want your drone to fit into your backpack or purse so that it’s as convenient to carry around as your smartphone. Drone manufacturers have done this by creating relatively small foldable drones, as well as mini drones. Even with selfie drones, you can expect pro-level camera quality. 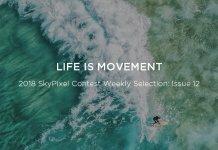 To ensure your selfies are smooth and really stand out, chose a selfie drone that shoots at least 1080p video at 30 fps, and ideally with a mechanical gimbal. When traveling to remote destinations, satellite positioning may not always be available, and your selfie drone will be prone to drifting. Not only can this be dangerous, but it’s also no good for the perfect selfie! Choose a drone that has vision sensors and hovers precisely in place, even without GPS. A variety of flight modes and features can add extra pizzazz to your selfie. 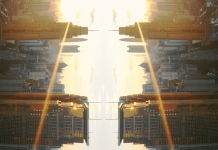 Take a look at DJI’s Gesture mode, for example. In this mode, you can use physical gestures to direct the Mavic or Spark to locate you, center you in the frame, and take a picture of you. The drone’s flashing lights indicate that the timer is on, so you can be ready with your hands-free or with your controller or phone out of the shot when the drone starts capturing. Take a minute to let that sink in. Basically, this means you could get an aerial selfie of yourself doing a cartwheel. And you don’t even need help from anyone – that’s some next-level selfie action! Say Cheese! The Mavic Pro is ready to take stunning selfies right out of the box! It’s incredibly easy to fly, and its advanced Gesture mode makes it easier than ever to take a selfie. Just raise your arms, and the Mavic will focus on you and your friends. After that, snapping great pics is as easy as making a square with your fingers. 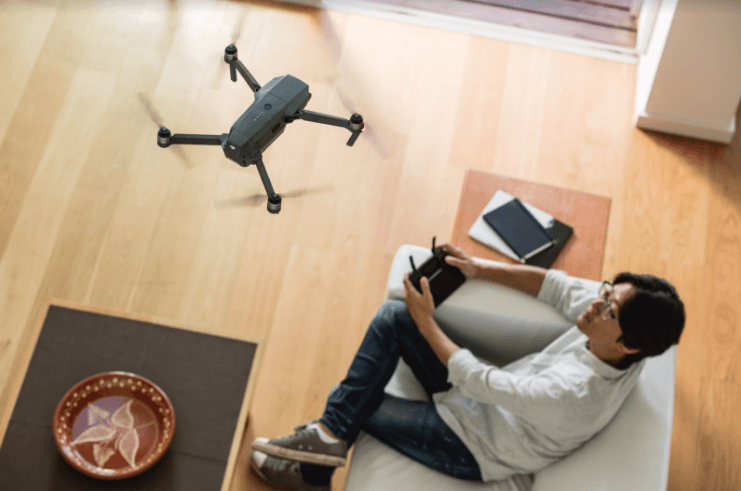 While you’re taking selfies, the Mavic is using its forward and downward vision sensors to sense its surroundings to hover precisely, even indoors. 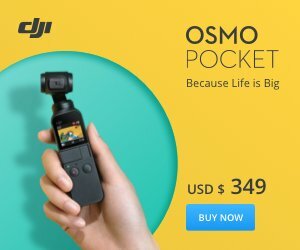 This means you’ll always stay in frame, and you won’t have to worry about your Mavic drifting into obstacles while you and your friends are posing. 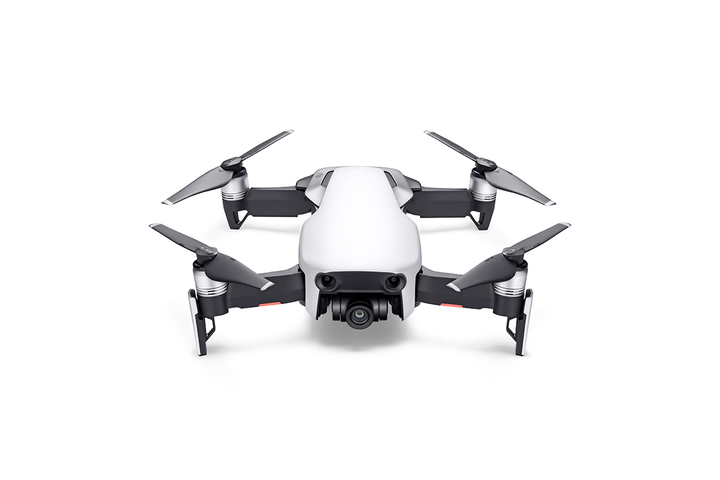 The Mavic Pro features an ultra-portable foldable design, making it perfect for travelers or serious drone fans looking for a drone to take on the go. You don’t have to sacrifice just because it’s small, however, as a 12 MP camera capable of shooting 4K videos ensures that your selfies will be crystal clear. The Mavic Air is DJI’s newest addition to the Mavic family. 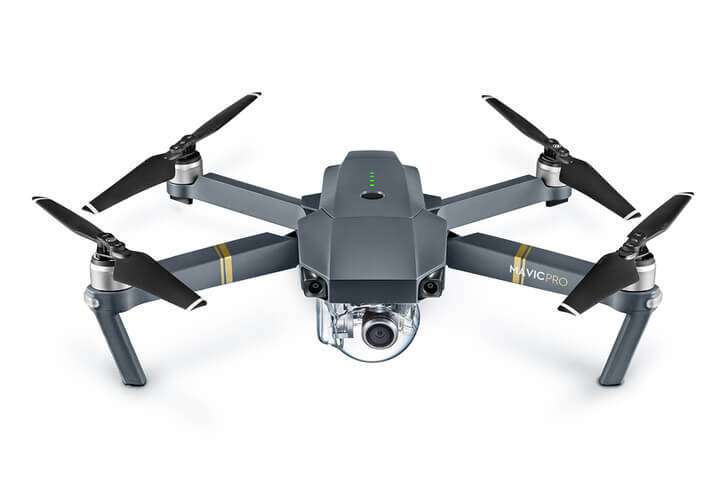 It retains the foldable design, great camera, and 3-axis gimbal that the Mavic family is famous for while adding a bunch of new intelligent features. For those looking to capture selfies on the go, intelligent and intuitive features such as ActiveTrack, QuickShots, and SmartCapture make taking complex, moving shots super easy. ActiveTrack identifies a subject and can follow along without the need for any extra equipment. This is great for capturing stunning selfies while on a scenic hike, or can even follow you on a bike ride! 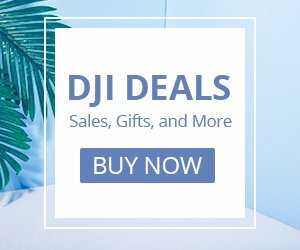 Spark is DJI’s smallest offering, making it an excellent choice for travelers or anyone who wants to carry a drone with them for spontaneous fun. 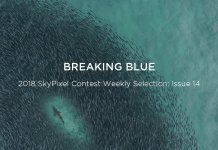 However, don’t let its small size fool you, Spark incorporates a 12 MP camera with a 2-axis gimbal for incredibly smooth aerial shots and crisp selfies. PalmControl enables you to fly Spark using only hand gestures, making taking a selfie as easy as making a square with your fingers. In addition to making Spark easy to operate, PalmControl is a ton of fun! You feel like a wizard controlling the Spark with magic. 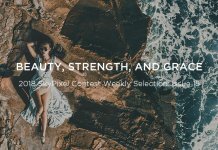 QuickShots such as Rocket, Dronie, Circle, and Helix also let you upgrade your selfies with stunning video effects. 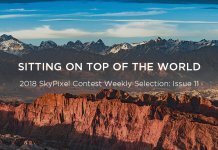 With so many cool features in a compact package, Spark makes you question why you need your phone for pictures when something that can fly is practically the same size! Which selfie drone should you get? The DJI Mavic Pro, Mavic Air, and Spark are three portable, easy-to-use drones that are perfect for taking amazing selfies. They all have mechanical gimbals, gesture recognition, mobile device controls, intelligent positioning systems, and high-quality cameras. 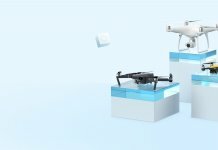 No matter which one you choose, each of DJI’s three selfie drones are great for creating and sharing unique aerial selfies. Get yours today and take your selfie drone game to the next level!